This Years Food Options are Out of the World! It”s an annual culinary tradition like no other. Hungry participants wonder, “What unusual creation will they cook up this time? How will these food daredevils top themselves this year?” No, it”s not an episode of Iron Chef, and it”s definitely not the James Beard awards…it”s the San Diego County Fair. Before you head to the San Diego County Fair, Discover Out of This World Deals and Savings! Carnival games and live music are part of the fun, but food is a major draw for many visitors to the annual event, as vendors compete with each other to see who can create the most outlandish concoctions. 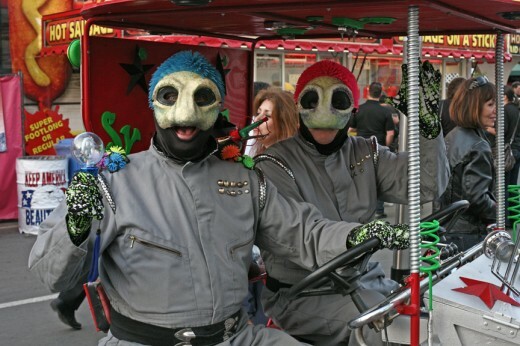 This year”s fair theme is “Out of This World,” and that just might be how you would describe many of the menu offerings. Here”s a little sampling of what you can expect to feast on. 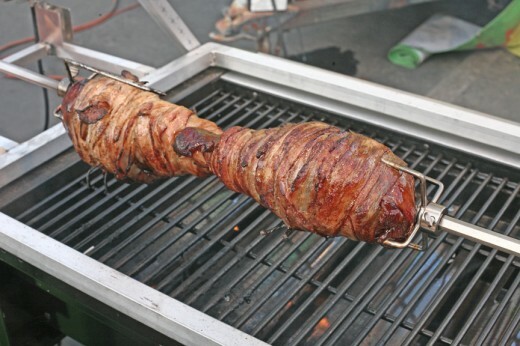 The most talked about offerings usually include just about anything wrapped in bacon or deep-fried, and this year is no exception. In the bacon-wrapped category, you”ll find everything from bacon blanketed hot dogs to “Porky Poppers,” bacon-wrapped stuffed jalapeños. But if size is what you”re after, then a bacon-wrapped turkey leg just might be what you”re looking for. Last year, fried Kool Aid had the nation all atwitter. 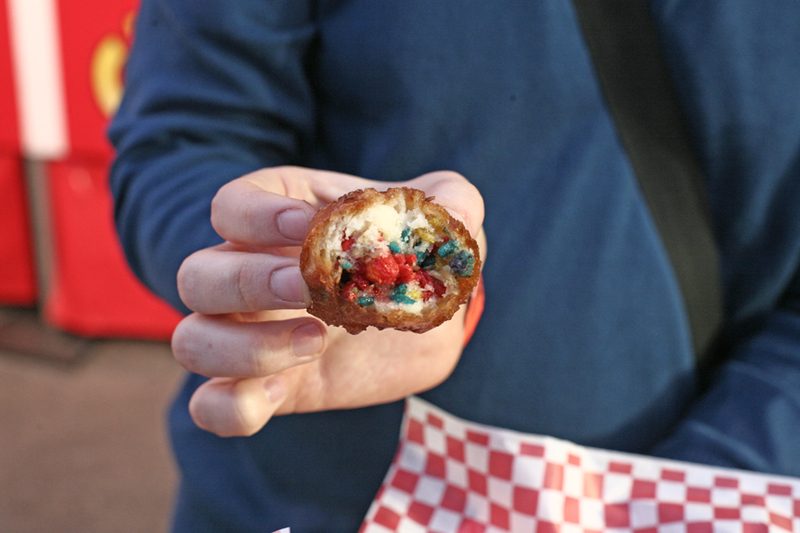 This year, the buzz is over deep-fried cereal – you have your choice of Trix or Cinnamon Toast Crunch. You”ll also find “Pie Fries” (deep-fried pie crust strips with strawberry preserves on the side), a “Chili Asteroid” (chili and cheese, deep-fried in a hush-puppy batter), and – continuing with the fried drink mix experiment – deep-fried Tang. 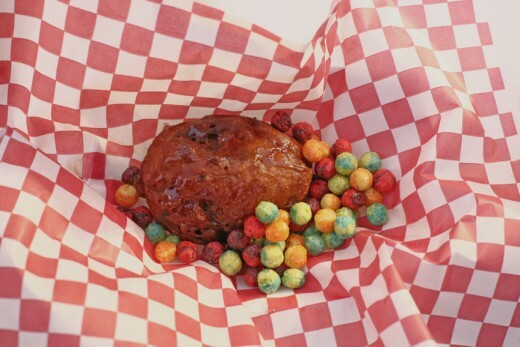 Will deep-fried Trix be any good? There's only one way to find out. Another new offering in the San Diego County Fair”s dining selection is…lobster?! Yes, you read that right! 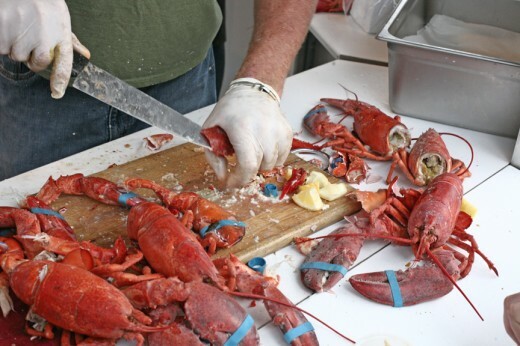 In their fair debut, The Lobster Shack is serving up steamed Maine lobster tails. With so many options, what will you try at this year”s fair? This entry was posted in Culinary, San Diego Events and tagged del mar fairgrounds, fair, Fair San Diego, food, foodie friday, lobster, north county, san diego county fair by Candice. Bookmark the permalink. Aww, this makes me miss our county fairs. Fresh lobster seems like an odd carnival food, but it’s definitely a great addition.